A horn grows through the upper lip of this whale. This calls for a haiku. Double tusk all the way. It's so beautiful. Awh why would he kill this magnificiant crature 🙁 So sad to see humans take beautiful creatures lives! “its so beautiful” its a dead animals head! im sure it was once beautiful but when surrounded by blood its only sad. its so rare for them to grow to tusks its a shame the animal is worth more dead then alive. why did they kill the narwhale those dum asses. HE’S A PRETTY KNOWN B**** !!! 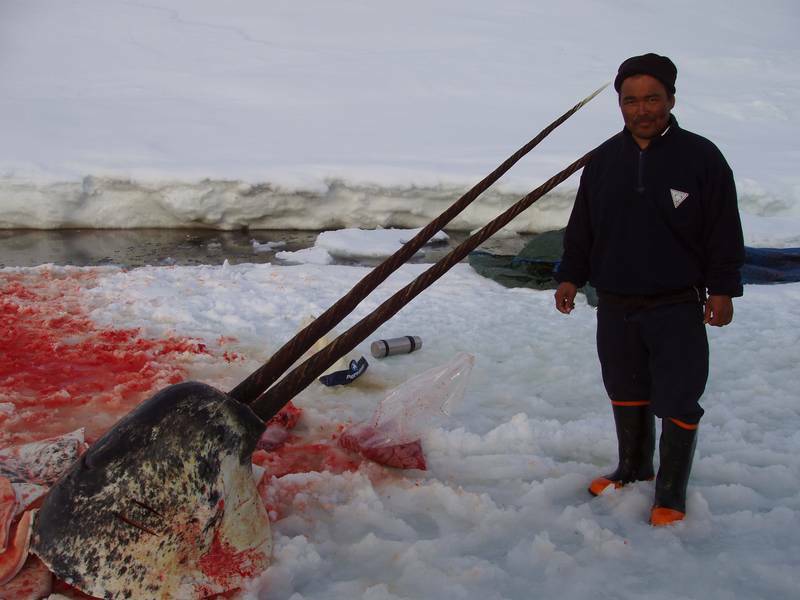 WHY DID HE KILLED THIS ULTRA RARE AWESOME WHALE ??!! how dare any person do that to such a beautiful creature! It’s probably going to be dinner, it’s not that uncommon and is often eaten as mattak, the blubber layer, and is a favorite among locals. It’s tough and best in stew. Others native foods you might see are reindeer beluga and walrus. It might look gory but it’s not much different than gutting a deer or butchering a pig. I can’t understand how the word “beautiful” can even environ this blood pond. Its amazing how anybody can be so cruel and harsh as to sit back and brutally murder another living creature… Its just sick. And thats why im vegetarian. i can understand that they may like to kill them as a way to survive and feed their families, but to call it beautiful is stupid. and to post the pic is mean. 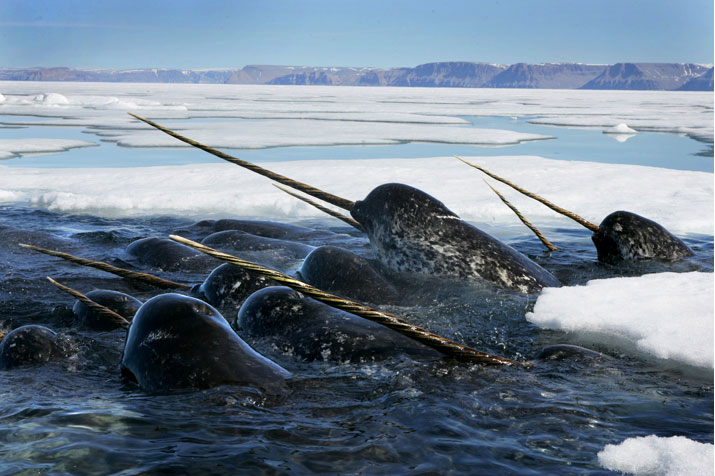 i looked up on google narwhals and got all these pics of dead ones…. not what i was looking for. i hate people who post pictures like this on the web it breaks my heart when i see things like this wither they do it for fun or survival.